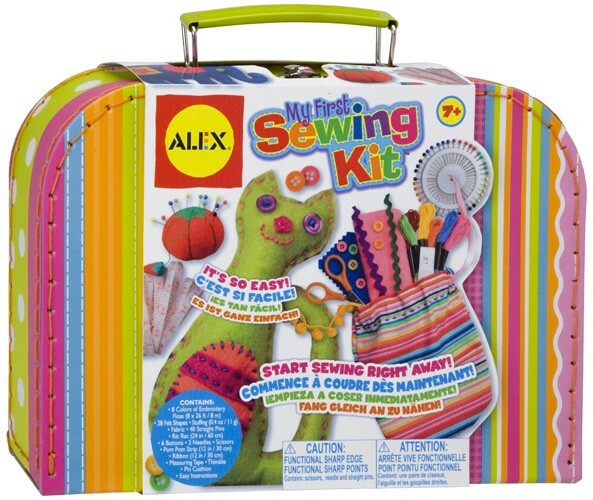 A case full of everything you need to learn how to sew and create fantastic art and fashions. 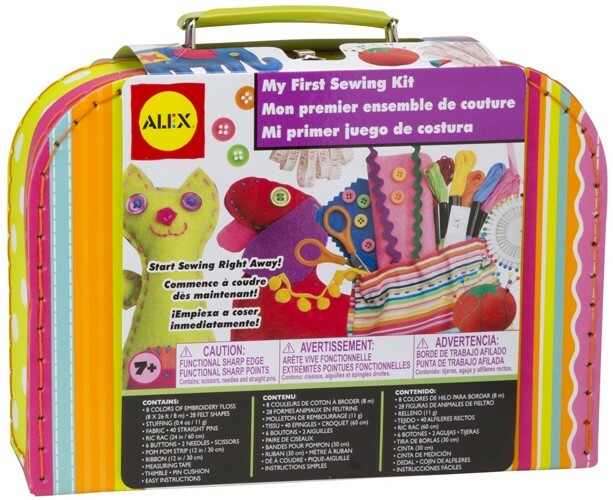 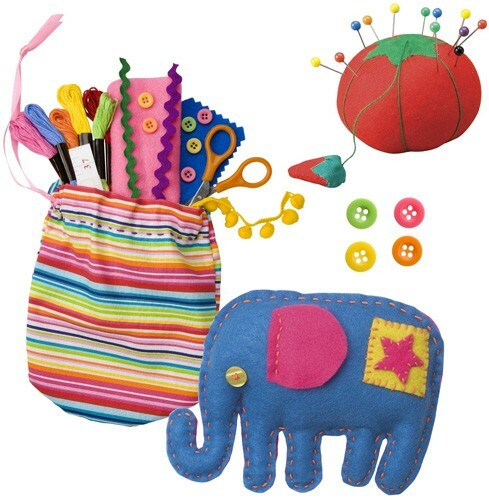 This sewing set includes precut patterns for quick and easy projects, eight colors of embroidery floss, stuffing fabric, ric-rac, needles, scissors, a measuring tape, straight pins, thimble, pin cushion, buttons, and a pom-pom strip. 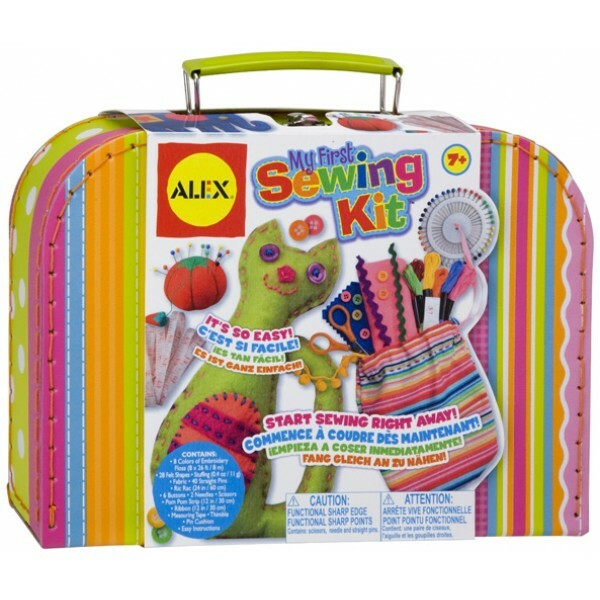 For more toys and kits to encourage children's interest in sewing and fabric crafts, visit our Fabric Crafts section in Arts & Crafts.